Advance Concrete enables the method of numbering the reinforcement bars. This option is very useful when working on complex projects with a large number of reinforcement bars. 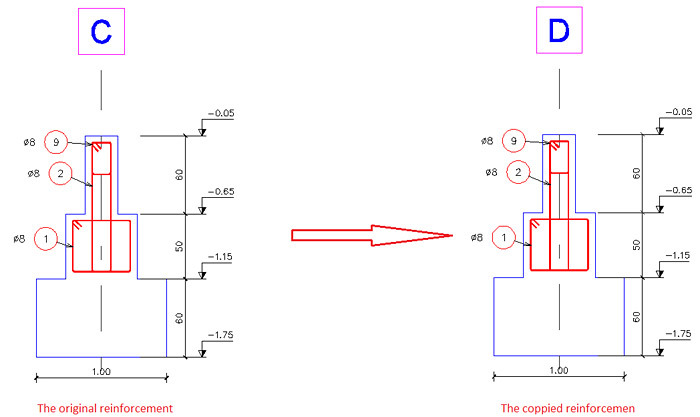 - When a reinforcement bar is copied, the assigned mark is the same. 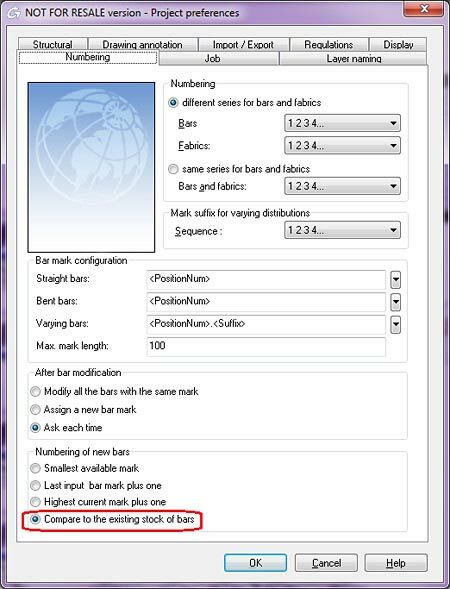 - When a new bar is created, identical to an existing one, the assigned mark is the same as the existing one. Another feature of this option applies when some intermediate reinforcement bars are deleted and other bars are created, the created bars will automatically be assigned the intermediate marks. 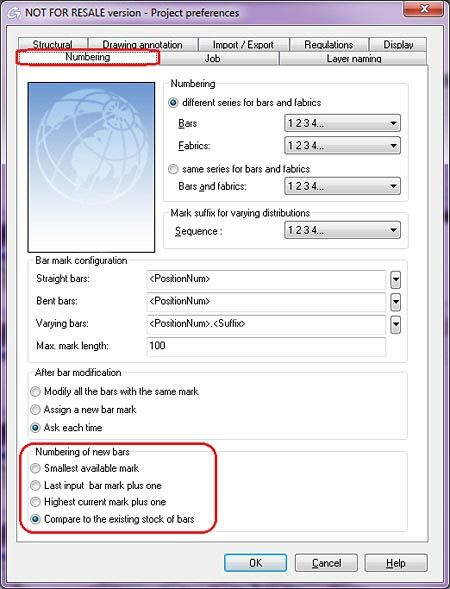 The Highest current mark plus one and Last input bar mark plus one options are used when you want an increasing counter, even if some intermediate marks are missing. 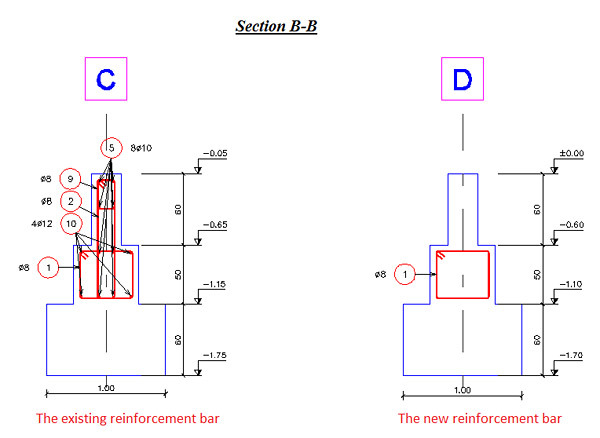 The Smallest available mark functionality is similar to the Compare to existing stock of bars option, without the possibility to assign the same mark to a copied reinforcement bar or to a new identical bar.